A single event in Israel last week captured headlines which led to a demonstration outside the National Police Headquarters in Jerusalem on Thursday April 30, and then a major demonstration in Tel Aviv on Sunday May 3 that turned violent. The event: Israeli police were filmed beating an IDF soldier whose name is Damas Pakada. He is one of an estimated 125,000 Israelis of Ethiopian origin. If you think this sounds familiar and reminds you of riots in Baltimore, think again. Look at the photographs. Not all the demonstrators were Ethiopian. The neglect – and many say discrimination – against Ethiopians in Israel is out of the closet. Two and three decades after they have arrived [in Israel] and a host of abortive government programs designed to help them succeed in their adopted homeland, 52% of Ethiopian families and two-thirds of their children live under the poverty line. It’s true that there are Ethiopian Israelis who have become lawyers, doctors and IDF officers. And Yityish Aynaw is a former Miss Israel. But these are the exceptions. Prime Minister Binyamin Netanyahu apologized to Pakada. But Israel’s Dark Secret is out in the open. The discrimination is real. Many commentators used a much stronger word. The images are painful. Violent demonstrations are ugly. In this case, so is the truth. The first planes with Ethiopians came to Israel in the late 1980s and early 1990s. That was ages ago. Before Pakada was born. Meet Abebas Stato, 23, a madrich [group leader] with the OU Israel Youth Center project in Rehovot. Stato came to Israel from Ethiopia when he was 10 years old. “Many of the Ethiopian kids today feel they are the objects of racism in school. And their parents feel it at work,” he says. If there is a disturbance in almost any neighborhood, chances are the police will look for an Ethiopian, even if they haven’t done anything wrong. The fact is that 3% of Israeli children are Ethiopian but they account for 20% of the juvenile prison population. IDF prisons also have an inordinately high percentage of Ethiopians. “I felt discriminated against more than once when I was in school,” Stato says,”but I don’t feel it anymore. When I was in the army I was with yeshiva guys so there were no real problems. Last summer I served in Gaza. People know what I’m capable of and they trust me,” he says. 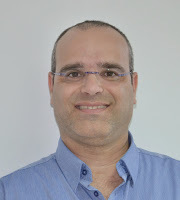 Today he works for the Makom Balev project which is part of the OU Israel Youth Center in Rehovot. 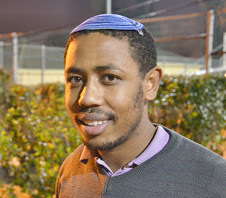 He leads a group of about 15 teens who are Ethiopian Israelis. He learns in a yeshivah in Rehovot and is in the final year of his studies for a Bachelor’s degree in education. He also teaches in a pre-army preparatory program and in an elementary school. 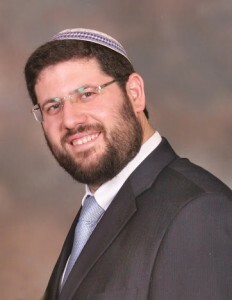 Stato recently got married and he and his wife are part of the Torah garin [group] in Rehovot. The day of the demonstration in Tel Aviv he met with his group in Rehovot – a short train ride from the action in Tel Aviv. “Most of the kids said they support the demonstration but they didn’t agree with the way it turned violent,” he says. “I explained that as long as I work and finish my degree, I have done what I have to do. If someone doesn’t want to hire me, that’s their problem, not mine,” he says. “I hope that one day we’ll be a real part of Israeli society. We have to have emunah [faith] in what we’re capable of,” Stato says. “Our youth groups aren’t based on ethnicity,” says Chaim Pelzner, Director of Programming for OU Israel. “We have kids whose families are from Russia, Morocco, Yemen – and also Ethiopia. The fact is that teens, just like their parents, usually feel more at home with people like themselves. So it’s to be expected that we have groups for Ethiopian Israelis,” he says. “In all of our activities, we try to integrate them by having group projects that include everyone. What’s most important is that we relate to them as equals,” Pelzner says. “I’m privileged to work with the staff of OU Israel so that together we can have a positive influence on Israel and help hundreds of Ethiopian Israelis who still need help to become totally integrated into Israeli society,” he says. Click here for more information about projects sponsored by the OU Israel Youth Center.